Speaking of which, I have two coming up tomorrow. Auditions that is. In one, I'm supposed to play an outdoorsy type of young (yes!!) parent who is good with children. (No problems there, me, felines and kids in the pre-verbal phase, we're "like that". Outdoorsy, by the way, is code for not too much make up and no high heels.) Then later on (and annoyingly, almost in the same part of London but some 3 hours later) I get to audition to be part of a "normal couple but not quirky, and not too 'Londony' which is code for "not Hoxton" which happens to be my neighbourhood's uber trendy scene credited as a major influence for the likes of Gaga. Basically, unless you're in the know, you'd think they were just incredibly badly dressed skinny people with a hair problem. But I digress. I've got two auditions (whoo hoo!) calling for some wholesome motherly talent and no one asking about spanking skills, so I should be fine. But there is a proverbial fly in the ointment: my hair. These days I like it very short. It is rather ironic given that as a child I fiercely resented my mother making me wear it that short. I grew it down to my kidneys as soon as I left for college and then suddenly went in for the pixie crop about 7 years ago. You can imagine my mother's reaction when she saw me. She didn't have to say anything. But she knew and I knew that she'd won on the hair front. I didn't care. I knew and she knew that although she may have won that battle, hey, I'd become an actress and in doing so I'd won the war. And that's what counts. Where was I? Short hair. (I'm glad somebody's listening.) The thing with short hair is that it calls for a trim every 5 or 6 weeks to keep it under control. If you don't follow this rule, things can go horribly wrong. It usually happens overnight: after a great hair day you wake up the next morning and it is as if "ze souffle eet 'ad collap-sed" (now channelling Hercule Poirot. Hello Hercule...). There is only one cure: a hair appointment. But this time I just don't dare get it cut. Some people have barber phobia. I don't. My hairdresser is a wizard called Luigi who cuts hair for some very famous women (so famous that sometimes he can't even mention their names). He does a super job - everytime. All I have to do is walk in, sit in the chair, say "Do whatever you want!" He says "Leave it with me" and off we go. 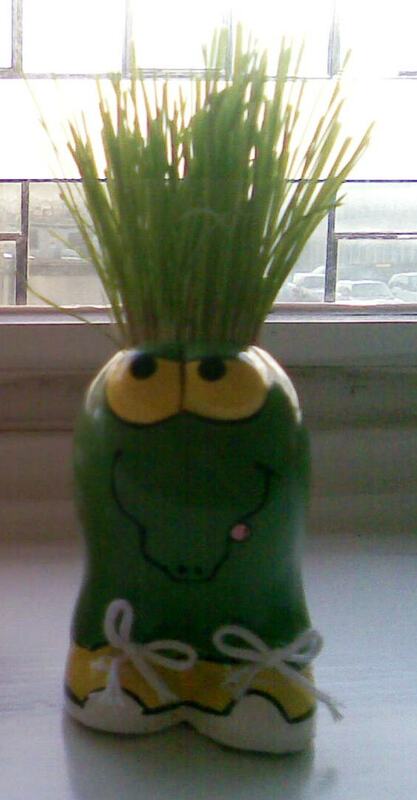 So here I am, the hair's growing out of my head like one of those grass hair trolls. I've been waiting to get my hair cut for over a week now, but the auditions keep coming (and I'm sure I'll land one of them soon too, I mean, statistically speaking, it's bound to happen - right?) and so I'm having to get creative with the VO5 styling putty, and the hair spray. I think it's starting to look a bit "poofy" on top but I'm just going to have to live with it a bit longer. At least for another week until I hear back about these two auditions. Let me elaborate on that last point. When I say "hear back", I mean that if I haven't heard back in a week's time, I'll know that they're not interested. Sometimes you get "pencilled" which means "drop everything, cancel the first holiday you've booked in 12 months, we probably won't need you but we want you to know that you came a close second." And sometimes you get the part. But if you don't get it, you just never hear back. LOL about your, er, naughty twin! Your posts are always such fun to read. And I hear you on the troll stage of short hair. I actually have short hair now. I cut it right after I had my "official" author pic taken. No one gets between me and my styling putty :D Good luck with your auditions! I have always had a theory that my hair grows overnight. What I mean is that it goes along looking perfectly normal on say Tuesday, then Wednesday,I would swear it grew at least 1/2 inch. And I can't make it look right anymore. Hair is supposed to grow at that rate, per month, but mine seems to do it all at once. I really believe this! Let us know how it all turned out. I hadn't realized hair precision would be such an issue in an audition, but I can see how it might be so.